The general appeal system for inmates that are dissatisfied with their treatment at a penal institution includes civil or administrative lawsuit, criminal complaint/accusation, and notification of human rights violations, etc. In addition, systems provided by the former Prison Act allowed petition and interview with the warden of the institution. Under the Penal Detention Facilities Act, however, the appeal system was enhanced to enable inmates to make a claim for review/reclaim for review in thereby requesting certain measures (prohibition of sending or receiving letters, disciplinary punishments, etc.) to be cancelled or to report on the facts in requesting the confirmation of the use of illegal physical force, etc. by officials of penal institutions (in both of these appeals, a claim/report must first be made to the director of the Regional Correction Headquarters and then a claim (reclaim)/report to the Minister of Justice if they remain unsatisfied with the determined result). In addition, they can make a complaint with regard to treatment they received to the Minister of Justice, inspectors, or the wardens of penal institutions. 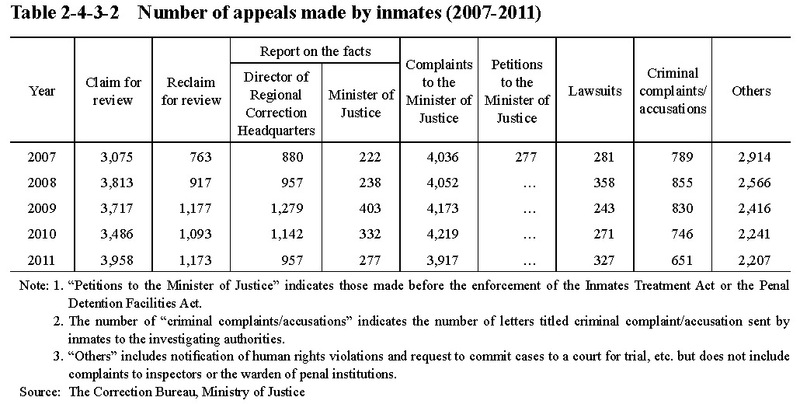 Table 2-4-3-2 shows the number of appeals made by inmates over the last five years.